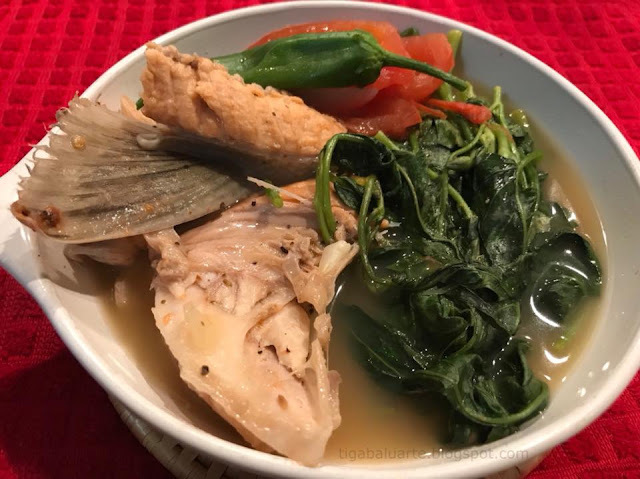 Sinigang na Salmon is another variety of Filipino Fish Sinigang. What I like about cooking salmon is it is highly nutritious and less fishy specially when making soup. This time I used the collar and belly with lots of kangkong leaves. See more below. Bring water into a boil in a deep pot. Once water starts to boil add onion and tomato. Simmer in medium heat for 3-5 minutes. Season with sinigang mix, salt and ground pepper. Simmer for few more minutes. Add salmon pieces, cover pot and simmer until fish is fully cooked. Add kangkong leaves and green chili. Simmer for few more minutes and remove pot from heat. 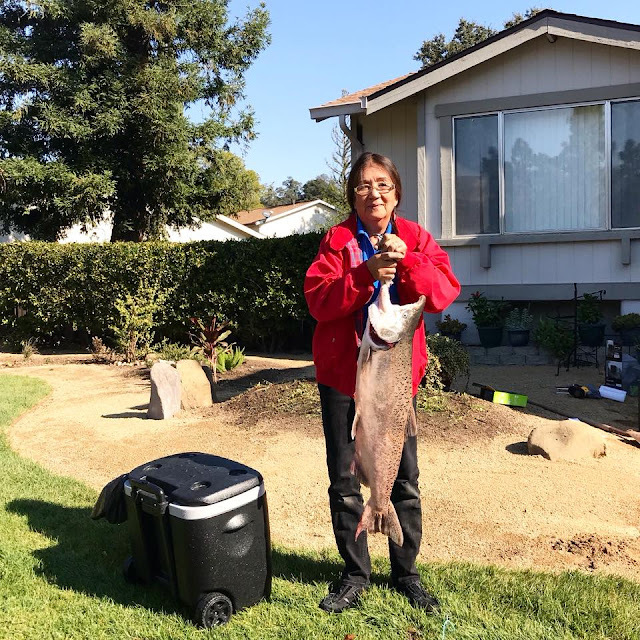 Sharing this picture of my Mom showing off the 17 lbs. fresh catch Salmon by my brother Jay.